Turkish President Tayyip Erdogan is seen with Iranian President Hassan Rouhani during a welcoming ceremony in Tehran, Iran, October 4, 2017. Ankara - Iran and Turkey will work together to confront the disintegration of Iraq and Syria to ease tension in the crisis-hit region, Iranian President Hassan Rouhani said on Wednesday after meeting with his Turkish counterpart in Tehran. 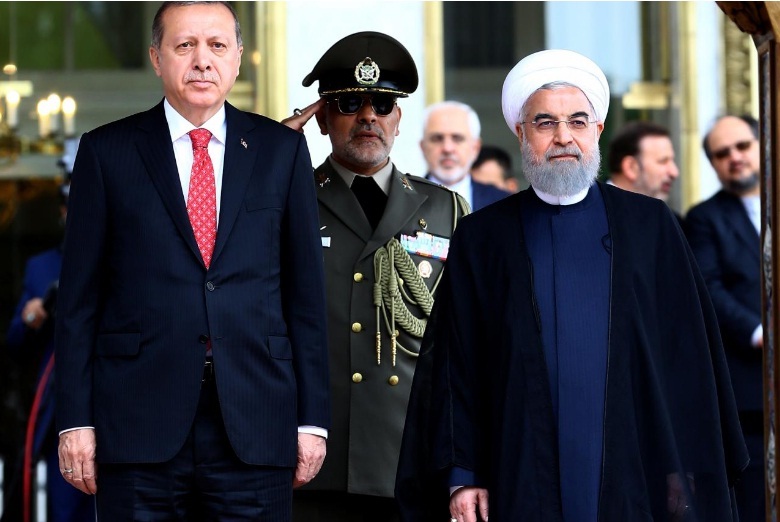 “We want security and stability in the Middle East ... the independence referendum in Iraq’s Kurdistan is a sectarian plot by foreign countries and is rejected by Tehran and Ankara,” Rouhani told a joint news conference with Turkish President Tayyip Erdogan. Iran and Turkey will work together to confront the disintegration of Iraq and Syria to ease tension in the crisis-hit region, Iranian President Hassan Rouhani said on Wednesday after meeting with his Turkish counterpart in Tehran.